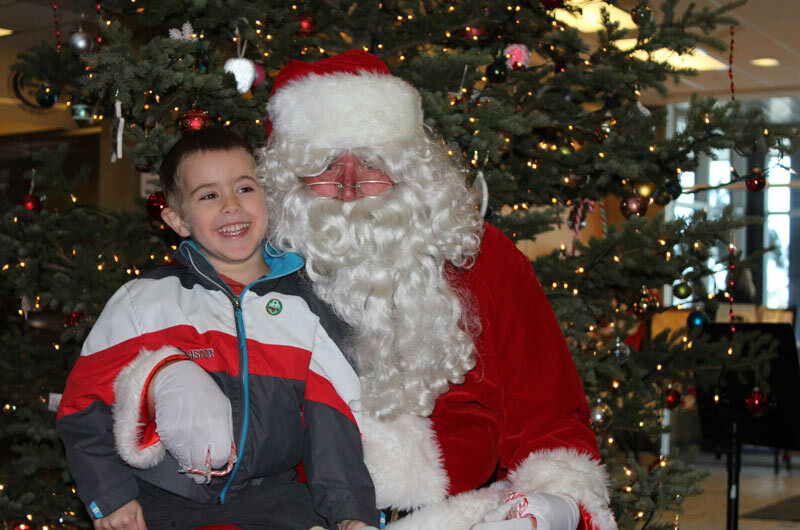 Christmas Angels were abundant on Saturday Dec. 14 during the Christmas with Dignity celebration held at Town Hall. Between the countless volunteers, organizers, entertainers, and those who came out and brought their families to support the program – they all made the event a wonderful success. 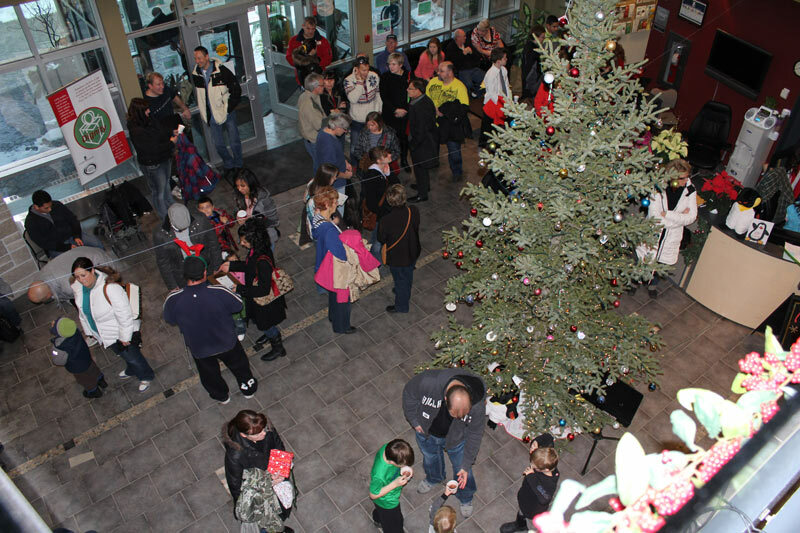 With a constant variety of local entertainment located on the upper lever overlooking the lobby, hundreds of people stopped in throughout the day to enjoy the festivities and to support the campaign. 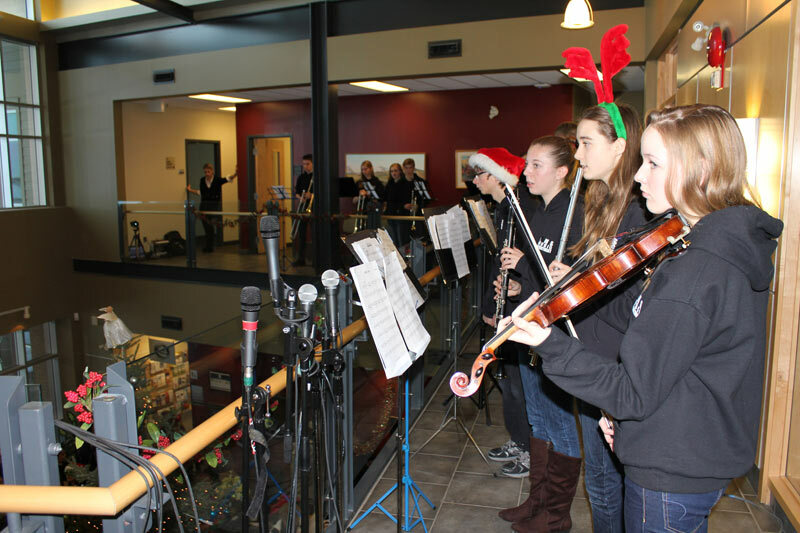 The incredibly talented Chestermere High School Band was the feature entertainer for the morning and everyone enjoyed the assortment of holiday music they offered. In the afternoon, the highlight was a request made by two individuals to have Akesh Aheer sing a beautiful rendition of “Mary, did you know?” which raised $400.00. It was evident how much work was put into this event, beginning with the large beautifully decorated Christmas tree which acted as a focal point in the centre of the room. On the main level was a silent auction, including many wonderful gifts donated from members of the community that were up for grabs to the highest bidder. Cookies and treats were available as well the children enjoyed having their faces painted with festive designs. 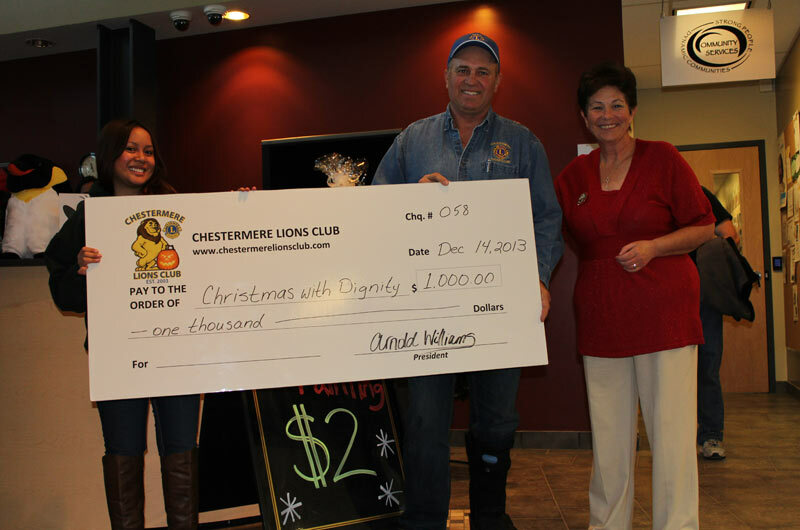 One Christmas Angel; a member and volunteer from the Chestermere Lions Club, came bearing an unexpected gift. 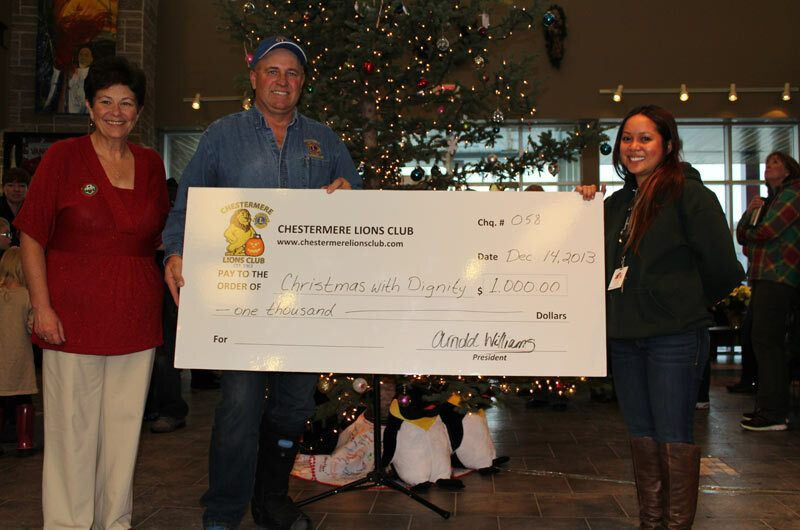 He presented a cheque in the amount of a whopping $1,000 to the Christmas with Dignity organizers to go toward the campaign. Near council chambers was a lineup of children who were eager to go shopping with their own money to purchase gifts for family members because inside the chambers, the children were paired up with a volunteer shopper and allowed to shop from tables that were filled with gifts, all for a modest amount of money, ranging from $1-$5. Most of the items were donated by community members for the store. 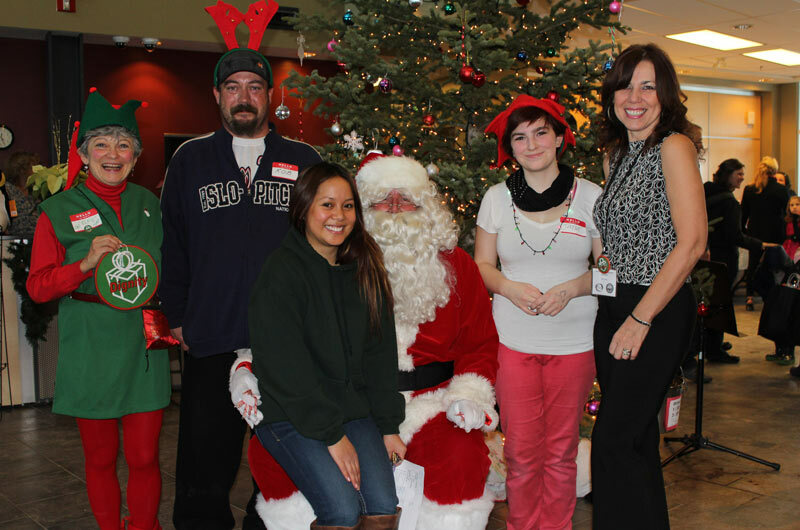 Once the children had carefully made their selections, volunteers helped to wrap them, so that the moms and dads could not peek at their presents. “It was a lighthearted way of explaining the importance of community and the gift of dignity”, says Fermin. 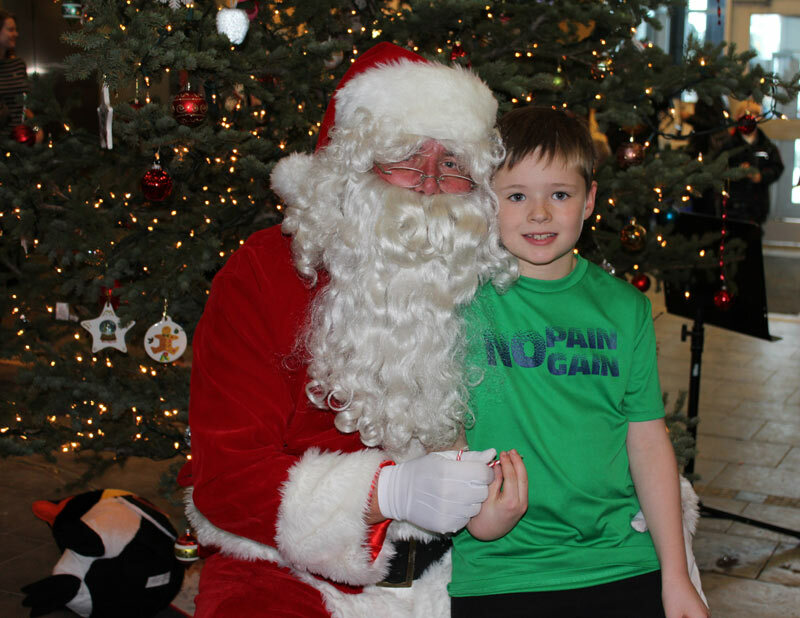 Of course no Christmas party is complete without Santa and this was no exception. Despite his busy schedule the jolly fellow was right on time, taking the time to talk with the children and pose for photos.